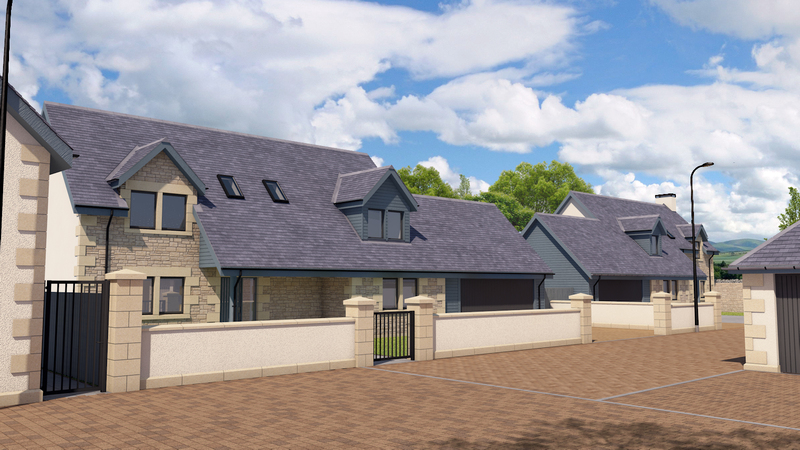 Planning has been granted for Birgham East, a new development of 5 residential properties in the Berwickshire village of Birgham, with fine views to the Cheviots hills. The properties are located on the eastern edge of the village and are within walking distance of the renowned Fisherman’s Arms restaurant. 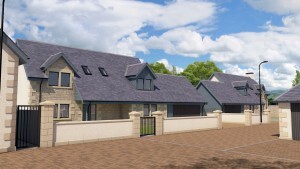 The development comprises two bungalows, a two storey terrace home and two detached family houses. The site dates back to the mid 1700s, lies to the north of the current cemetery and is thought to have formed part of the grounds of a 12th century chapel. In the village itself, the Treaty of Birgham, between the Scottish and English kingdoms, was concluded in 1290. Whilst providing traditional homes, a selection of house types will provide dressing rooms, en-suites, country kitchens, traditional utility/mudrooms and all homes will incorporate built-in wardrobes. 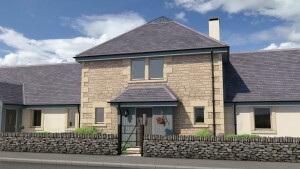 The homes benefit from low energy lighting and generous insulation to meet or exceed the current building regulations.